SMERSH is the Soviet organ of vengeance, of interrogation, torture and death. James Bond is dedicated to the destruction of its agents wherever he finds them. 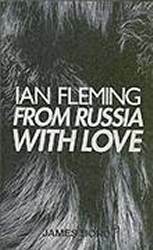 Then the cold eye of SMERSH focuses on Bond and far away in Moscow a trap is laid for him.